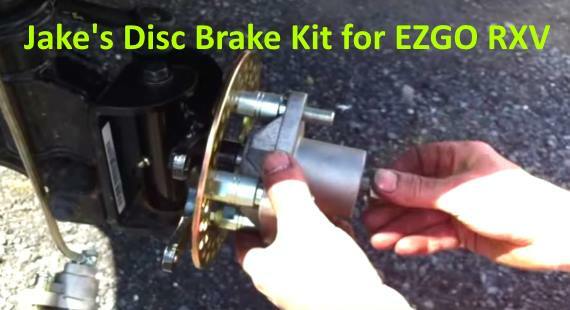 Watch how to install a Jake’s Disc Brake Kit on an EZGO RXV electric golf cart. It is not very hard if you have the proper tools but, does take a fair bit of time to complete the job. Jake’s front brake kits are being installed by OEM’s for street legal carts and now you can have the same design for your cart. Increases your stopping power by up to 3 times. Pre-charged system for easy installation. This kit is a must for street legal carts, off-road carts, and carts with high speed motors. Get that fast cart to safely stop much better that just rear drum brakes could ever do. You can find the lowest prices on a Jake’s Disc Brake Kit for a EZGO RXV here. Golf Cart Hot Rod Copyright © 2019.